During Lucia’s first pregnancy in New Mexico she consumed milk products, at the behest of our midwives. This consisted of organic raw milk and yogurt. Our newborn daughter was fed exclusively on breast milk. At first all was well; but not for long. During the day she was an extraordinarily contented child. But as the sun went down, the cramps began. She had terrible colic. Lucia and I took turns carrying her around each night for hours. Movement gave her some relief, while over time we became exhausted. When Amira was around three months of age, based on an intuitive hunch, I suggested Lucia stop consuming dairy. Within two days our daughter calmed completely. Colic became a thing of the past. We all were able to sleep properly again. We’d discovered the hard way that our child was lactose intolerant, even through her mother’s breast milk. We began eating organic tofu and tempeh and making our own soymilk from organic soybeans. This latter exercise didn’t last for long. It was an onerous, time-consuming exercise. In the end we purchased soymilk instead. When our second daughter was born two years later she was also reared exclusively on breast milk. At birth we noticed some weakness in her bones. Once her teeth arrived, it was obvious they were not as strong as her sister’s. A year later we read the first articles condemning soy. I stopped eating soy products immediately. Lucia and the girls did a little later. The last product we still used until a few years ago (on and off) was Bragg’s Liquid Aminos. We wouldn’t use them now. I’d like to summarize some of the research on the potential hazards of eating soy. I know this may cut across the grain of what some readers may understand. Realize that much of the positive press soy receives is deliberately generated by those standing to gain the most from the sale of soy-based products. I urge you to make to make your own mind up. Your health is in your hands and in what you put in your mouth. 1. Gout is a common side effect of soy ingestion and is often mistaken for arthritis. If you have gout try stopping with soy and drinking lots of water. You have nothing to lose and it very well help. 2. Soy has an affinity for aluminum and extracts it from the soil. And when soy is subjected to an acid wash this often takes place in aluminum tanks. As a result soy milk contains 100 times more aluminum than raw cow’s milk. Aluminum has been implicated in many diseases including breast cancer. 3. Soy producers claim soy is a good source of calcium. Soy contains more phytic acid than any other grain or pulse. Phytic acid impairs absorption of all minerals, particularly calcium. So soy actually strips the body of calcium. 4. The enzyme inhibitors in soybeans block trypsin and other enzymes. This can cause serious gastric distress and reduced protein digestion. 5. 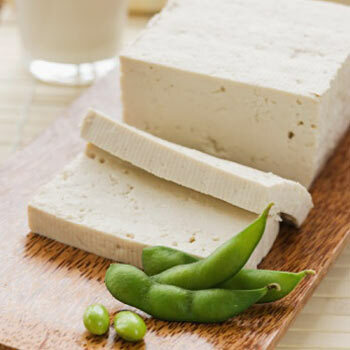 Scientists have known for years that isoflavones in soy products can adversely affect thyroid function, resulting in autoimmune disorders and even cancer of the thyroid. 6. We’ve been led to believe Asians consume high quantities of soybeans. This is simply not true. Asians actually consume on average only 7 to 8 grams (roughly one quarter of an ounce) of soy a day, a tiny amount, and most of this is fermented. 7. Soy infant formulas contain huge amounts of corn syrup and sugar, both of which are developmentally debilitating. 8. Processed soy products contain an assortment of heavy metals known to cause neurological and physiological damage. 9. Soy has been proven to mimic estrogen, damaging the reproductive systems of males and females. 10. Soy can cause significant damage to the thymus, resulting in immunological failure and damage to the cerebral cortex of the brain. The above research has been cited (with supported studies) in Nexus Magazine, Take Control of Your Health and Escape the Sickness Industry by Elaine Hollingsworth and an article by Gail Elbek in the Winter 2009 Edition of Wise Traditions ( an excellent quarterly published by the Weston A. Price Foundation) My thanks to all these trustworthy and courageous contributors to a healthier human race.